I'm delighted to offer handy links to the types of sketching materials I use, as well as opportunities to purchase my prints and my illustrations on other products. Clicking the images below will take you to my online shop, located at my professional website (www.commnatural.com). Happy shopping! Prints, art-emblazoned gifts, and original artworks available for online purchase! The books and sketching materials I use for my own sketching and illustration. 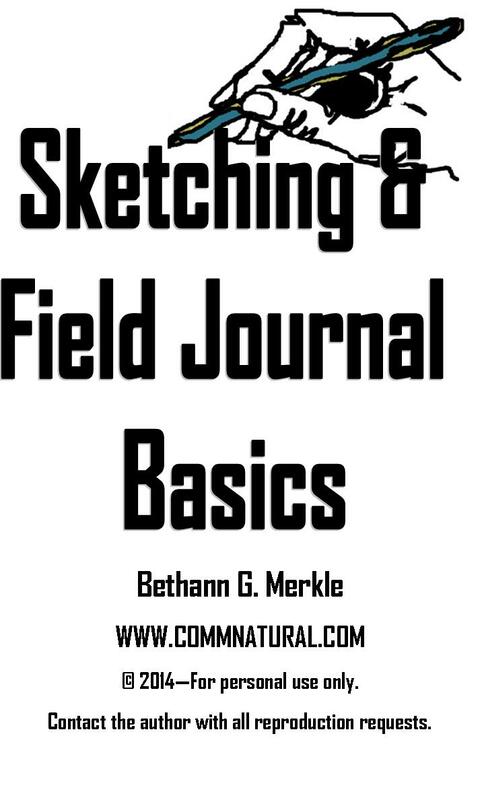 These are the basic materials I recommend when teaching nature, lifestyle, and science-related sketching.